There’s nothing worse than a hot Texas summer. Well, strike that. There’s nothing worse than a hot Texas summer without air conditioning. Can you imagine sweating every minute of the day, your clothes sticking to you, and your head feeling like it’s on fire? Now imagine feeling like that while you’re sitting inside. Not only is a Texas summer around Azle and Fort Worth uncomfortable, it can also be dangerous. It’s no surprise that temperatures just seem to get hotter each year, and the young and elderly are especially vulnerable to heat-related illnesses, and possibly even death. Avoid the heat, hassles, and health risks by giving Azle Air Conditioning, Heating & Electrical a call today. We’ve been operating in and around the Azle, Springtown, Weatherford, and Fort Worth areas for years. Quality, affordable, and fast service that’s done right the first time, every time. Let’s face it – there are few things more unpleasant than a hot and blistering Azle summer. When the temperatures hot enough to fry an egg outside you know something’s got to be done, and that’s where Azle Air Conditioning, Heating & Electrical come in. The air conditioner simply won’t turn on at all. This is probably the most frustrating problem our customers experience, as they simply don’t know what the problem is. We’ll get in there and diagnose the issue quickly so you’re up and running again in no time! 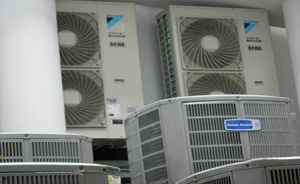 Why Call Azle Air Conditioning Heating and Electrical? We have earned an outstanding reputation in our local community for providing quality fast, dependable service to our clients. Our commitment is to fix your system right the 1st time and on time. The technicians are highly trained and work to exceed our clients expectations. 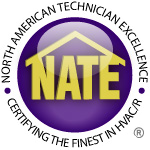 Give us a call today to schedule your service call with our highly trained technicians.